Credit card fraud is a broad charge that can be applied to a variety of alleged actions. Often, but not always, credit card fraud is the illegal use of an individual’s personal information to make purchases or open credit cards with the intention of making purchases. Other acts that may be charged as credit card fraud include gift card skimming, the act of recording unsold gift card numbers and then using them to make purchases online after they are purchased, and using a company-owned credit or debit card to make personal purchases. Credit card fraud is theft. Like any other theft charge, an individual charged with credit card fraud can fight the charge through a variety of defense strategies. The right strategy depends on the facts of the individual’s case. When credit card data is stolen using a false identity, the individual whose identity is stolen and used is as much of a victim as the individual whose data is taken. In your defense, you could potentially show that you, too, were a victim and that you were not actually the individual who committed the act of theft. An innocent use of a card you believed you were authorized to use, such as a family member’s credit card or a corporate card for your employer, can be charged as an act of credit card fraud. Your legitimate belief that you were permitted to use the card could be the basis of your defense strategy. Entrapment is the act of creating a scenario that encourages an individual to commit a criminal offense he or she otherwise would not have committed. If you were set up to illegally use a credit card or data attached to one, you may be able to defend your case by showing that you were an entrapment victim. Your defense strategy could involve demonstrating that you used the credit card, debit card, or personal data against your own will because of a threat of violence or while under duress. If you acted under coercion, you did not willfully steal or misuse the victim’s card or data. For a true act of credit card fraud to occur, the court must prove that the defendant stole or misused the credit card or related data for his or her own benefit. 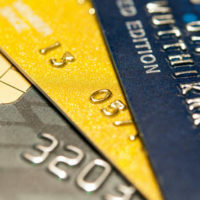 If you had no intention of benefiting from the card’s use, you can potentially have your charge lowered or dismissed. If you were charged with credit card fraud or any other type of criminal offense, be proactive and start working with an experienced Miami criminal defense lawyer as soon as possible to begin developing your legal defense strategy. Contact Ratzan & Faccidomo, LLC today to schedule your initial consultation with us.